What's the Deal with the New College Curriculum? Traditional Curriculum, Forums, New Curriculum - What's the difference? Lately we've been getting a lot of questions about the change of curriculum going on in the College of Arts and Sciences, so this post is going to address some of those questions as well as give a summary of everything you need to know to help you choose the curriculum that's right for you. This is the curriculum that's currently in place for students enrolled in the College of Arts and Sciences. What's most important to know is that the traditional curriculum consists of two main parts: competency requirements and area requirements. The first writing requirement must be fulfilled by taking a first-year ENWR course at UVa. (Echols Scholars are exempt from this requirement). 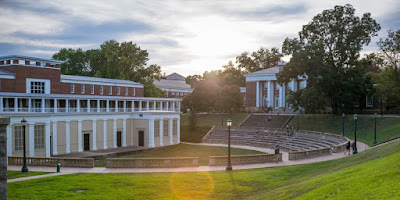 The foreign language requirement can be met by either placing out through AP/IB/SAT II scores, by placing out based on your score on UVa's placement exam, or by taking classes in a foreign language at UVa through the 2020 level. The important thing to note here is that no one class satisfies any Area Requirement! This means that you have the ability to pick and choose which classes you want to take, as long as they fall under the "umbrella" of a certain Area Requirement. The Forums give undergraduates a chance to take classes that are tailored around specific topics/ideas/problems. Each Forum accepts around 40 students per year, and those students then share a first-year intro seminar on the specific topic of their Forum. In the spring of their second year, Forum students participate in a Capstone class, where they work on case studies and participate in research on their topic. This curriculum is being phased in for the first time in Fall 2017 for a select number of students within the College of Arts and Sciences. Created and led by the University's College Fellows, this curriculum is designed to engage students in a more innovative and interdisciplinary general education curriculum. Similar to the Traditional Curriculum, the New Curriculum requires that students complete several components: the Literacies, the Disciplines, and the Engagements. This requires students to take 3 credits in a First Writing Course and 3 credits in a Second Writing Course (very similar to the traditional curriculum). Just like the traditional curriculum, this requirement can be met by either placing out through AP/IB/SAT II scores, by placing out based on your score on UVa's placement exam, or by taking classes in a foreign language at UVa through the 2020 level. This requirement can be met by completing two 3- or 4- credit courses in a variety of fields, including (but not limited to) Anthropology, Math, Statistics, Psychology, and more. Students must take 3 credits in each of the Disciplines, for a total of 21 credits. Students take these four Engagement Courses in their first year, meaning that these classes rotate on almost a quarterly basis (so you'd take two first semester, and two second semester). Additionally, students in the New Curriculum will attend a lecture series with guest speakers to culminate what they have learned in their Engagement Courses, and will also have a 'summer reading' project that will be used to facilitate discussion in the Engagement Courses throughout the first year. I know this all sounds like a lot - but try not to stress! No one curriculum is better than the other; they just work in different ways. If a Forum topic relates to what you want to study, if the Engagements in the New Curriculum sound interesting to you, or if you just want to stick with the tried-and-true Traditional Curriculum - go for it! It all comes down to what you want your academic experience to look like. Once you've chosen the curriculum that you feel is right for you, a great resource to check out is ULink, a peer advising organization that connects upperclassmen with first-year students to help you pick classes, navigate your curriculum requirements, and adjust to college life. To request a peer advisor from ULink, follow the instructions on their website: https://peeradvising.virginia.edu/. Comment below if you have any additional questions, and a student blogger will get back to you soon! 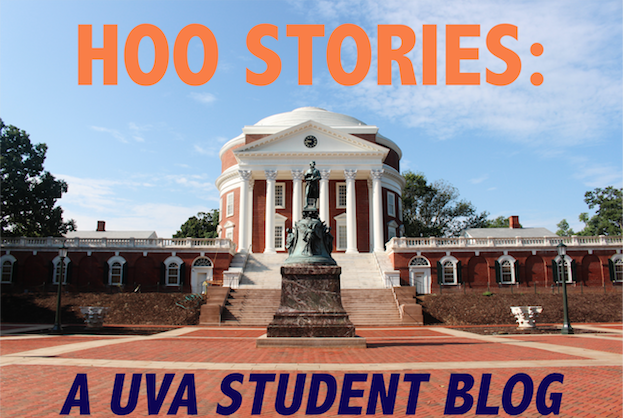 Many prospective students believe that a UVA student’s weekend plans consist of drinking with friends at a party, or staying in his or her dorm to pull an all-nighter. But if the college party life isn't for you, there are still plenty of fun weekend activities here for you at UVA. 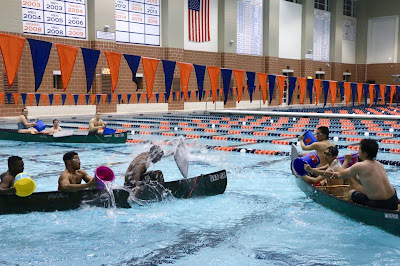 Every Friday and Saturday, Intramural-Recreational Sports (IRS) keeps the Aquatic and Fitness Center open until 1:00 AM. Not only can students get a late-night workout to avoid the First Year 15, but IRS also has their own special events suitable for anyone’s physical activity level. The best part is that all of these activities are completely free! Did you ever wish you were a pirate after watching Pirates of the Caribbean when you were a kid? Well now here is your chance! The rules to Pool Battleship are simple. You and your fellow shipmates must use your buckets to fill the opponents' canoe with water until they sink. Players must stay within the designated boundaries and scooping water out of your own canoe is prohibited. 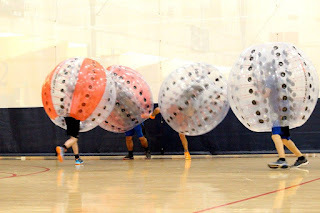 Knockerball is super fun to play and super fun to watch! Challenge your friends to a Knockerball showdown in Last Man Standing. 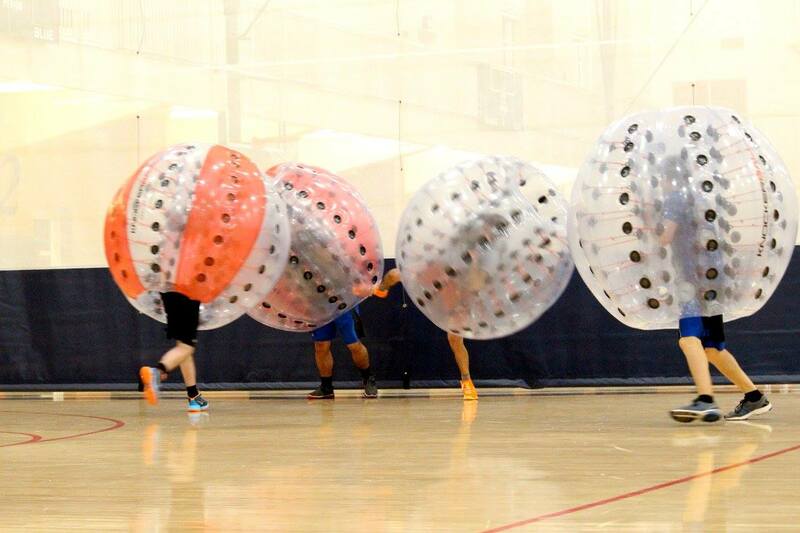 Other popular Knockerball games include bubble soccer, sharks and minnows, bubble football, president, and barrel roll. Occasionally, IRS will open up the bouldering wall free of charge. Because of its short height, no harness is necessary. Although the bouldering wall is not very high, don’t be fooled. The wall consists of many complex patterns suitable for beginners with little to no experience, as well as harder patterns for veterans of the sport. Sooner or later, you'll probably get tired of UVA dining hall food. Thankfully, IRS has grocery bingo. Several bingo games are held during the night, and the winners will walk away with a free bag of groceries! Each match lasts for about five minutes. Players are split into two teams and receive points for tagging other players with their lasers. Weapons vary in range, damage, and accuracy - so choose wisely! IRS also has arts and crafts nights. Show your artistic talents by decorating picture frames, drawing the Rotunda, or painting a picture of your favorite flower. Great food is also a guarantee! The AFC has also been known to hold other super fun events like movie nights, pool parties, a Build a Bear Workshop, and even a mechanical bull. 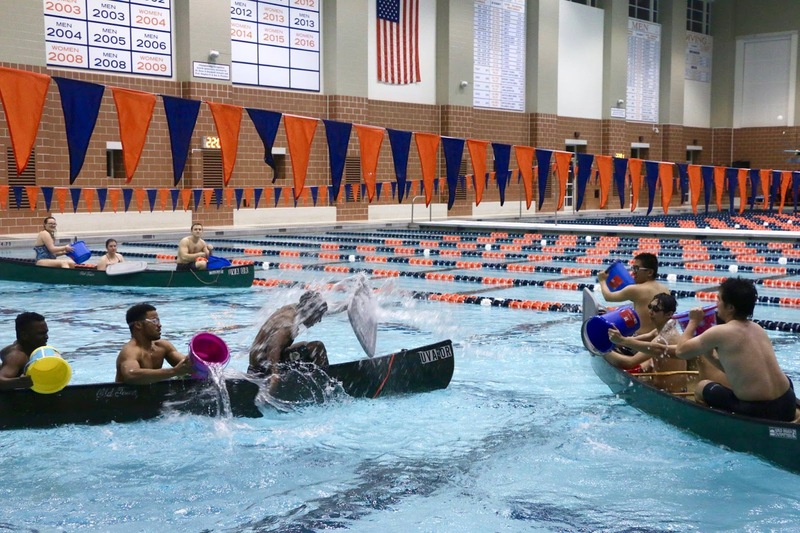 So if you don't have any plans for the weekend, be sure to check out Hoos After Hours!